Even the most up-to-date homes and condominiums need rewiring every so often. It’s important to keep track of the age and maintenance of your electrical wires so that you can prevent any damage from being done. Did you know that electrical fires cause hundreds of deaths per year? It’s a very dangerous possibility with old or exposed wires. In order to prevent these dangerous events from occurring, you should check for the 5 most common signs that your home needs rewiring. It never hurts to do routine maintenance on your wires. And, if you notice that something has gone awry, you should always contact a professional electrician rather than trying to fix the problem yourself. In order to prevent electrocution, bad lighting, or an electrical fire, here are the 5 signs that your home needs electrical rewiring Singapore. An over-amped electrical panel is a bad sign. If your panels are over-fused or contain too much energy, this is a sure sign that your house needs rewiring. Think of an over-amped fusebox as a ticking time bomb, signifying that you only have a matter of time until the electrical capacity becomes too much for one panel to handle. You’ll likely end up with a series of problems that include blown fuses, blown out lights, electrical surges, and possible electrical fires. Contact a professional right away to rewire your home so that energy can travel to your outlets in a safe and balanced manner. Sizzling and popping sounds can become very dangerous. If you are in a situation where you hear these kinds of sounds, you may want to get it looked at by an electrician right away. Sizzling and popping means that you have a loose connection. Loose connections are dangerous as they can lead to the unstable transfer of electricity, which can burn up your breaker box and cause your outlets to spark at random moments. The insulation between the outside of your cord and your wires is essential for keeping your wires safe and preventing you from an electrical spark or electrocucion. 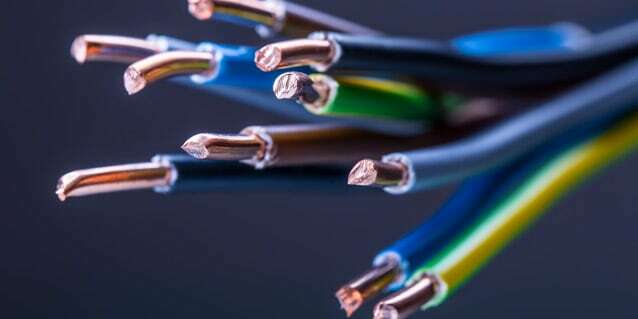 When you are looking at the wiring of your home, if you notice that the cords are cracked, broken, or cut, you should stop using that cord immediately. A cracked or cut cord can lead to electrical instability. Having improper insulation means that your electrical wires aren’t working as well as they should be, and that you are subject to a shock or a fire if too large of a surge goes through it. Remember that cracked or broken cords are incredibly dangerous, even if they don’t seem to be active. Do you rely heavily on extension cords or electrical generators in your home? If so, you are running a very dangerous situation. It might be only a matter of time until the extension cords cause an electrical surge, which makes way for an electrical fire or an outage throughout your home. Having a lot of extension cords means you are plugging way too many devices and appliances in at once. This is a sure fire way to blow your fuses, causing an electrical surge and potential electrical fires. Contact your electrician right away to assess the unhealthy state of your wiring. If you know that your particular house or apartment complex is more than 40 years old, and it hasn’t ever been rewired, you certainly need to get it checked out as soon as possible. Old wires wear and tear over time, and can also become too loose and too unstable to use in a safe manner. The longer you ignore your old wires, the more prone you become to potential problems and dangers. Again, if you notice that anything looks, sounds, feels, or smells off about your electrical wiring, get in touch with a professional as soon as possible.